USPS & FC RENOVATIONS OF NORTH PUBLIC LOBBY — Burchick Construction Company Inc. 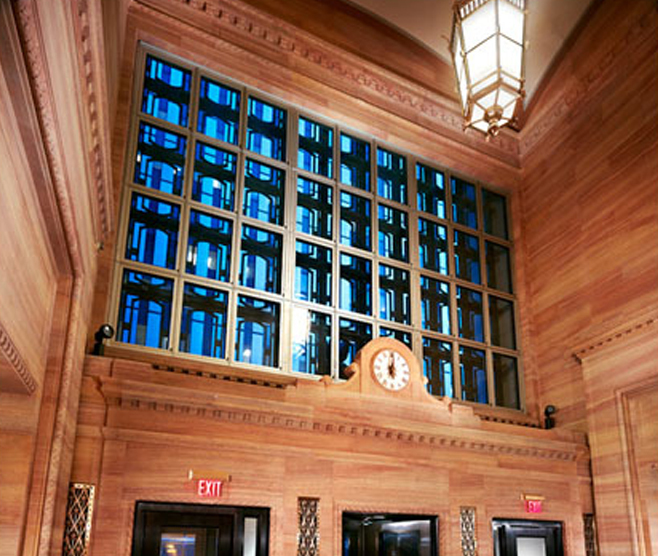 This project involves the renovation of the north and a portion of the south public lobby in this historic building. 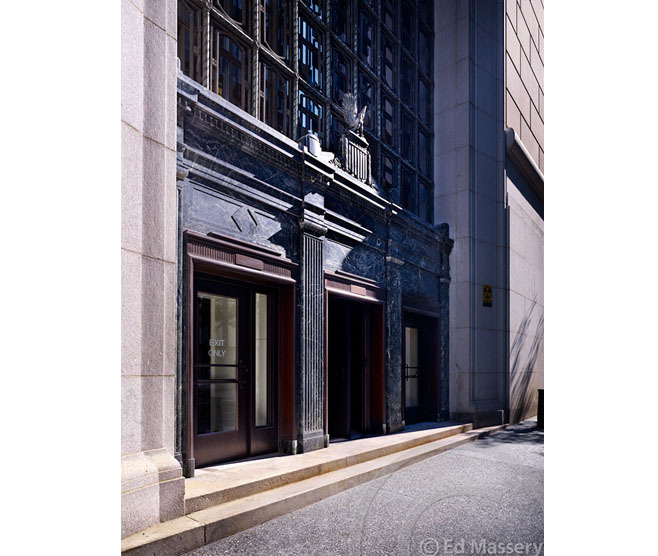 The work included restoration of marble, granite and bronze surfaces, as well as replacement and finishing of two bronze revolving doors and systematic dismantling, salvage, restoration, and reinstallation of their associated bronze “clamshell” enclosures. Burchick Construction also installed force-protection bollards and replaced sidewalks outside these north and south entrances under a separate contract with the GSA, complicating the requirement to maintain access to the building at all times.